Don’t gamble on the health of your car. Get your Brake Fluid replacement and brake inspection done now! 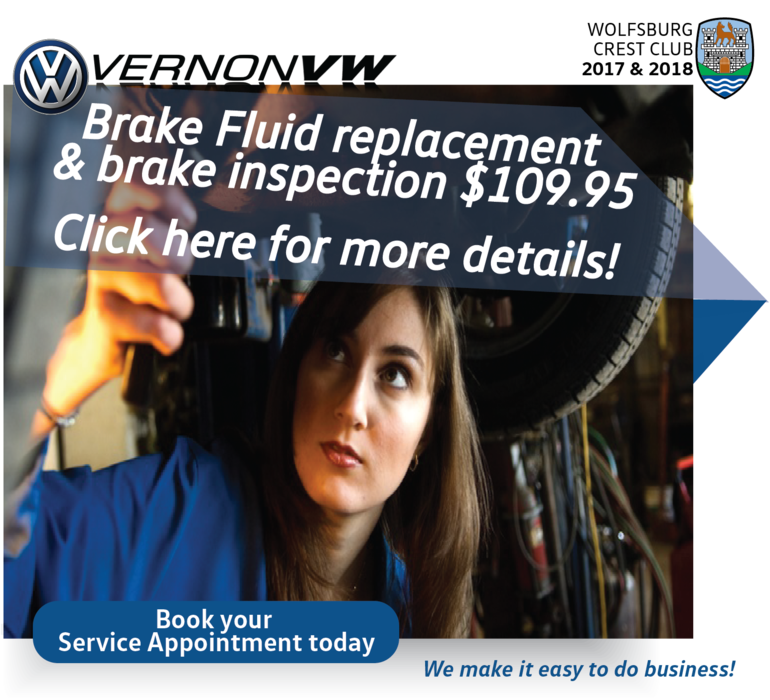 Take it to Vernon Volkswagen and rest assured that your vehicles systems will be in tip-top shape. This isn’t just some fluid top-up deal, let us help you take care of your vehicle today. Brake Fluid replacement and brake inspection $109.95, Recommended every 2 years or 40,000 kms for your family's safety.